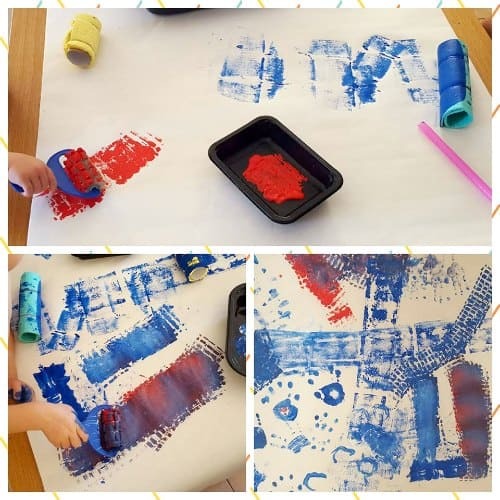 We have been having so much fun working our way through the toddler painting challenge and painting with rollers is today’s challenge. 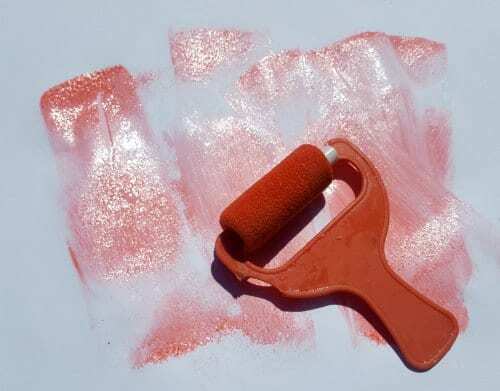 You can use any kind of paint roller, and can generally pick these up quite cheap at dollar stores or craft shops. 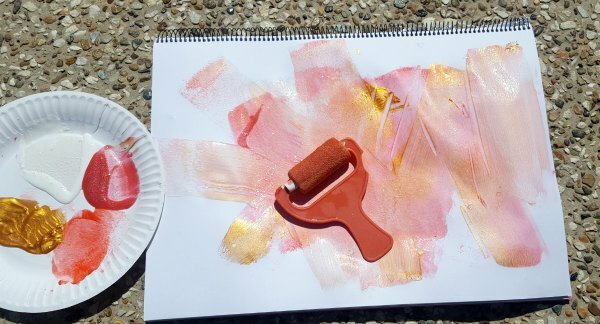 Painting with rollers is part of the 10 Day Toddler Painting Challenge – Day 5 after we had fun painting with cotton tips yesterday. 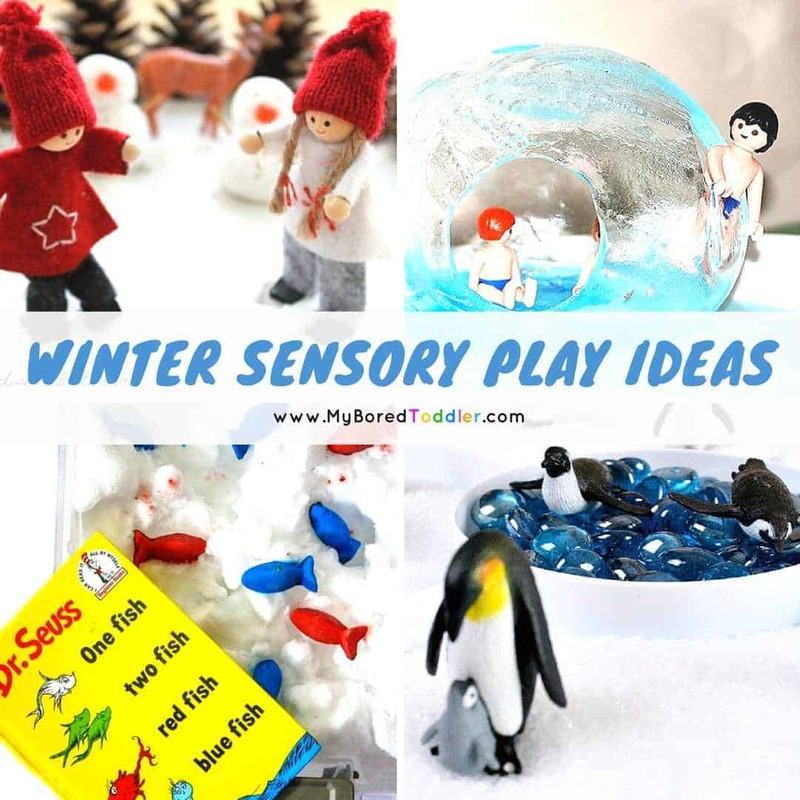 You can find my full list or painting resources for this challenge HERE. 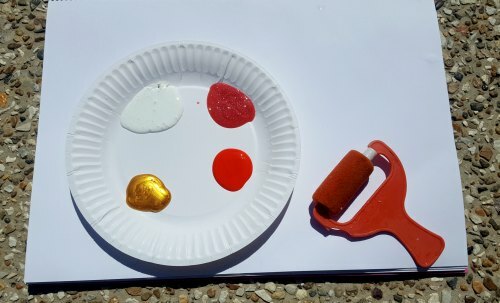 Paint Rollers – you can get mixed packets like these or plain ones. 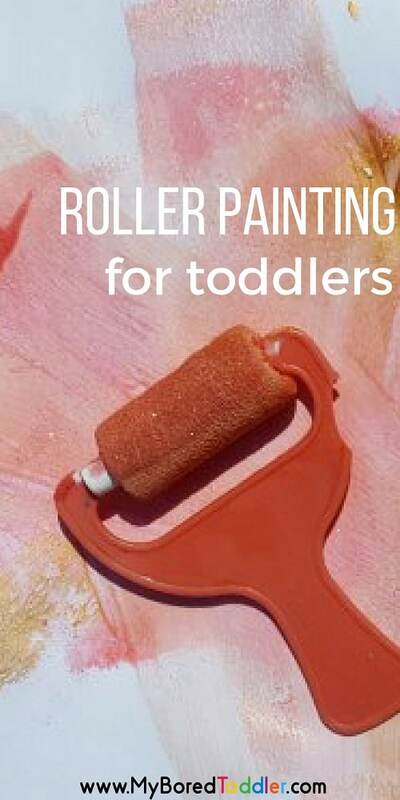 This is another toddler painting activity that is really easy to set up. I timed how long it took me and it was under a minute. I put the paint on the paper plate, gave them the roller and let them go! As always if you want to direct the activity a bit you can start with one color and experiment with how it looks. If you have different patterned rollers then you can talk about why they look different when they roll them. Add in some other colors and talk about what happens when the paints cross over and mix. I’m pretty confident that this kind of painting will become a favorite! 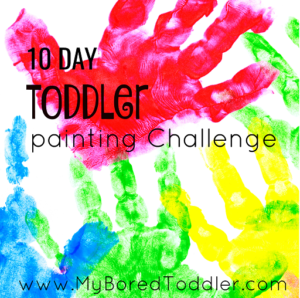 If your’e taking part in our 10 Day Toddler Painting Challenge (you can still sign up HERE) make sure you pop into our Facebook Group and share your pictures, or use #MyBoredToddler over on Instagram so we can all see what you’ve been creating! 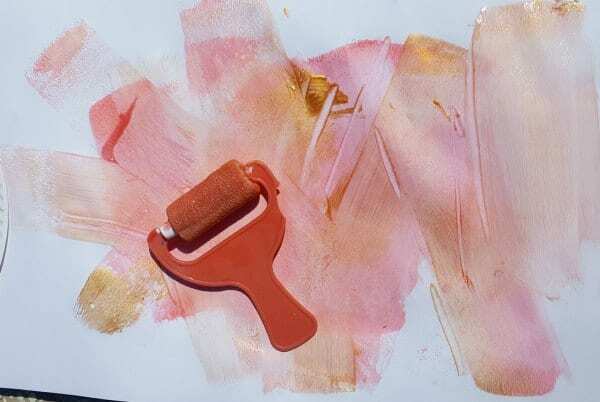 This lovely photo was provided by Anna who took part in our painting challenge! 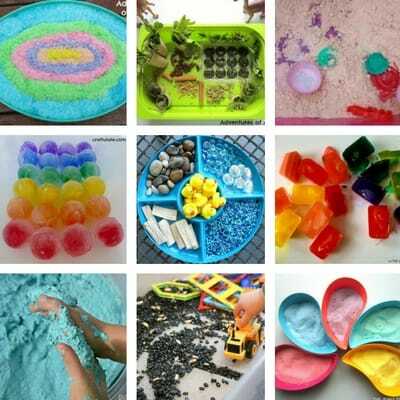 Our next toddler painting challenge is painting with kitchen items and if you can’t wait to get started you can see that activity HERE.